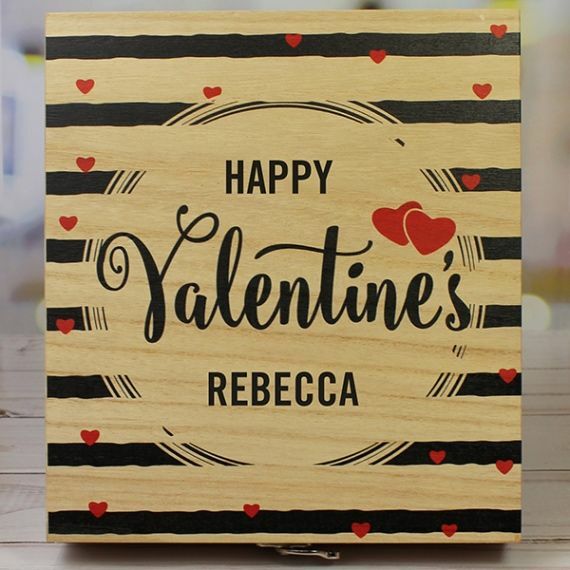 This gorgeous wooden box is the ideal tasty treat for your Valentine! 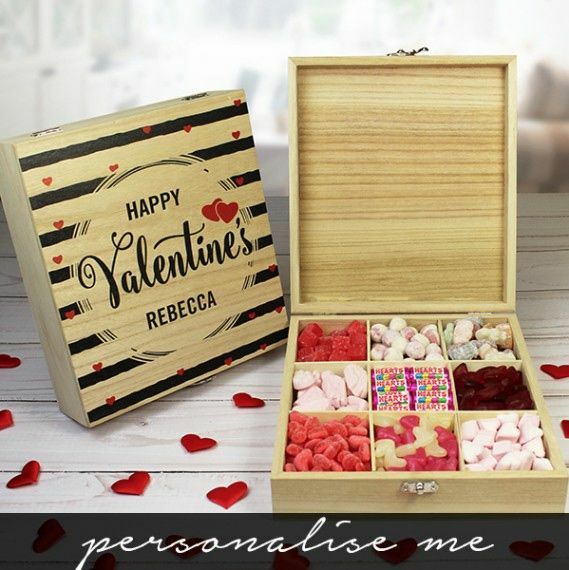 The handmade wooden box has 9 compartments, containing 9 different romantic and delicious sweet bags. 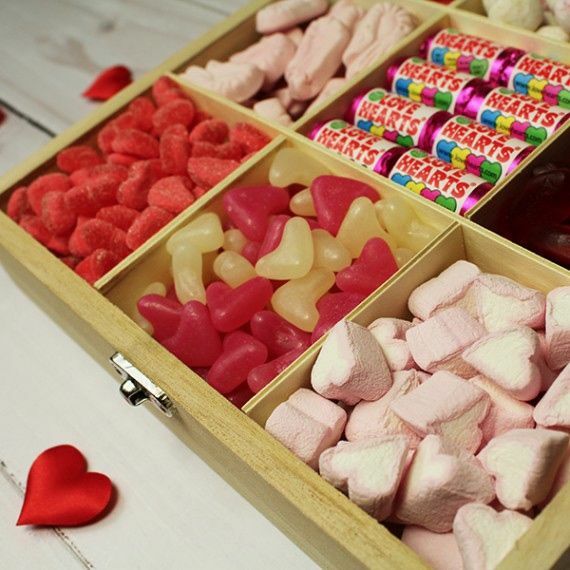 These include heart shaped marshmallows, heart shaped jelly beans, juicy lips, love hearts and much more. • 1 x Bag of Pink Shrimps, 1 x Bag Love Hearts, 1 x Bag Juicy Lips, 1 x Bag of Triple Hearts, 1 x Bag of Jelly Bean Hearts, 1 x Bag of Marshmallow Hearts, 1 x bag of Kola Cubes, 1 x Bag of Bon Bons and 1 x bag of Jelly babies. • The wooden box makes a lovely box for keepsakes and jewellery when finished.